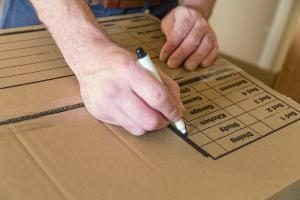 Safe and organized packing service for Homes and Businesses in Brighton & Hove, Sussex and beyond. Hero Removals provides a full or part packing service. We can dispatch one man to pack up just your kitchen or a team to pack the entire house, or office with minimum disruption to yourself, your family, or your team. Our staff are trained uniformed professionals who you will feel comfortable having in your home or workplace, they are all CRB checked and as well as being trained packers are also courteous, helpful and polite. Our flexible packing rates start at only £25 p/h for one man, with a 2 hour minimum charge. For top quality packing supplies at fantastic rates order through Brighton Boxes. Fully insured full or part packing service. Boxes/Packing materials supplied, please call for details. 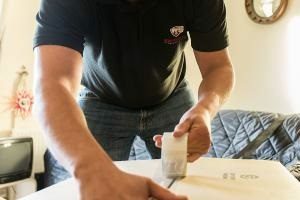 Fragile packing/wrapping – For small and larger items like mirrors, grandfather clocks, electricals. Furniture wrapping – to export standard if needed. On removal day we make wide use of dedicated quilted covers for sofas, TVs, fridges (American style and standard), washing machines/dishwashers/tumble dryers, and mattresses.